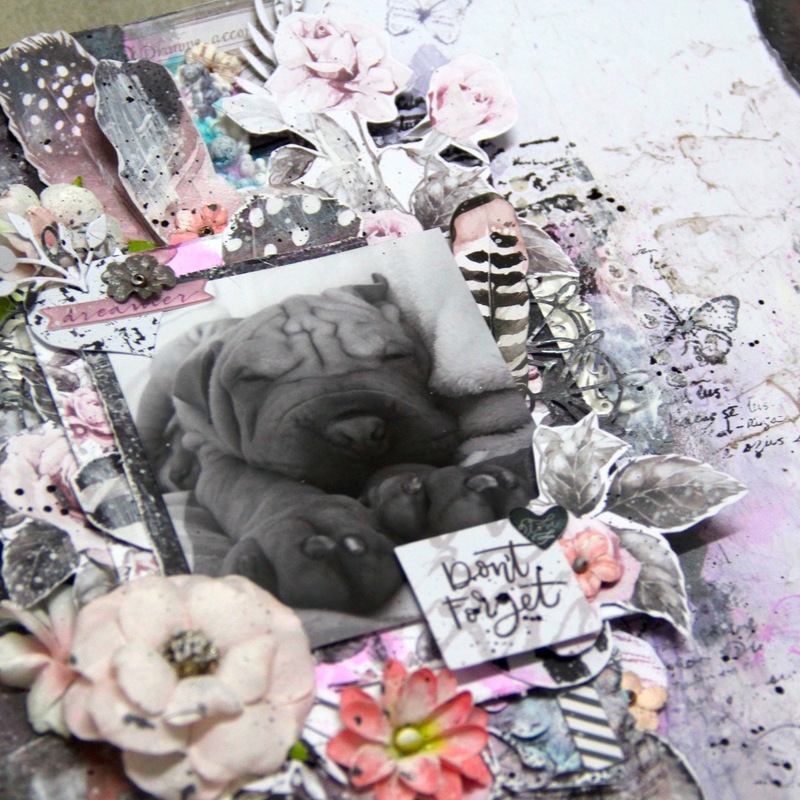 this layout was made for Make it Prima challenge. I used Rose quartz papers, flowers, ephemera and stickers. On photo is our puppy Dobby. I have tons of super cute photos of him For colouring I used Color philosophy inks for details I used Finnabair waxes. 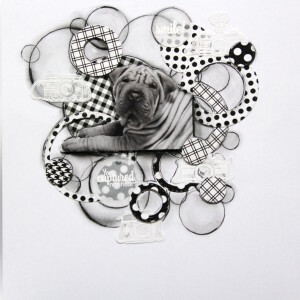 For details I die cut different shapes with Frantic Stamper dies. 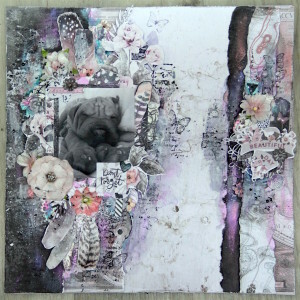 This entry was posted in Challenge, Layouts and tagged Challenge, Finnabair, frantic stamper, layout, Prima Marketing. 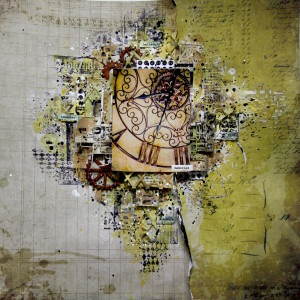 my new layout is made with awesome Kaisercraft P.S.I love you papers and collectables. On photo is my son with our sharpei Caspian. They are best friends. For my layout I used stamps from Kaisercraft, colours are from Color Philosophy inks by Prima Marketing. I also used clear gesso by Ranger and white Ecoline watercolour. It is easy layout but I enjoyed creating it. 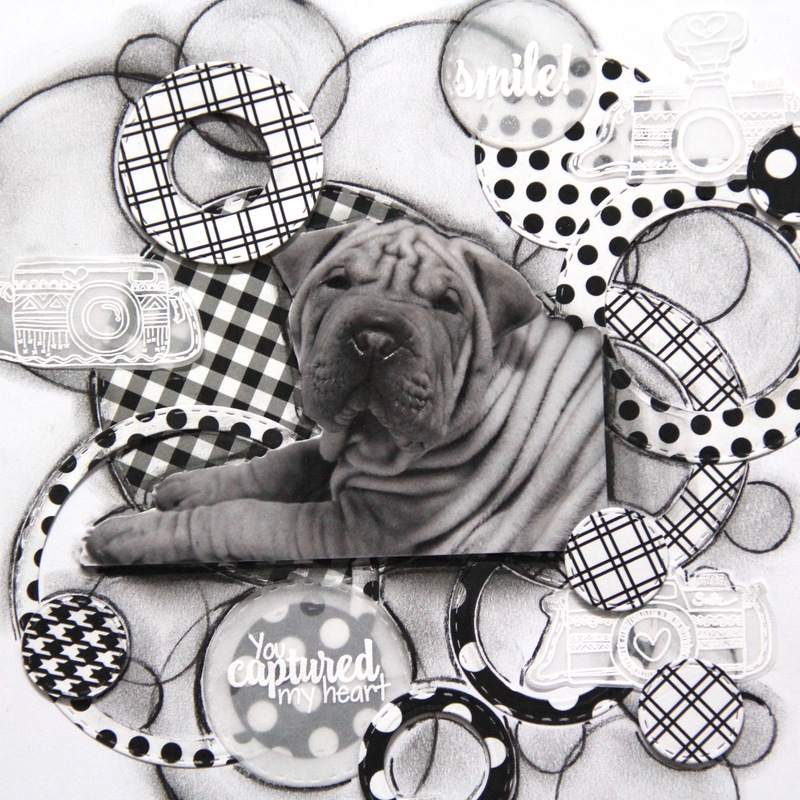 This entry was posted in Layouts and tagged layout, mixed media, Prima Marketing. 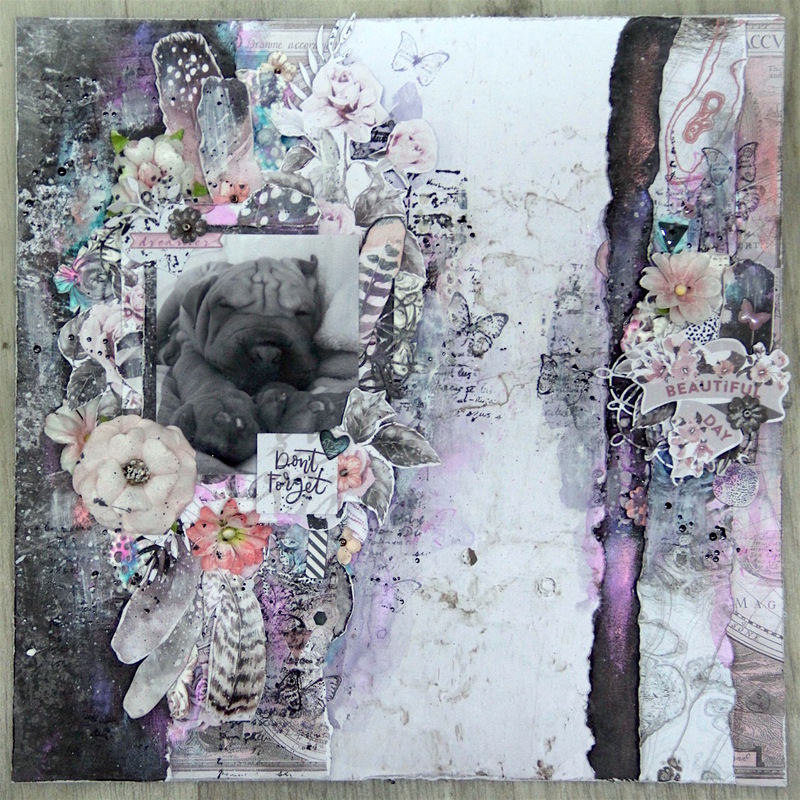 For this layout I again used photo of our puppy I used papers from Artelier paper, mediums from Finnabair and all colours are from Water soluble oil pastels by Prima Marketing. It is really easy tutorial. Chipboards are from UmWow Studio. 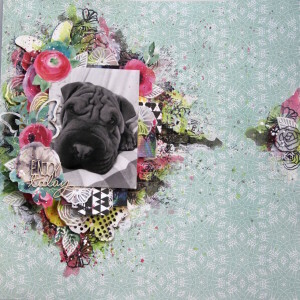 This entry was posted in Layouts and tagged Finnabair, layout, Prima Marketing, tutorial, video. I would like to share with you my latest video tutorial for mixed media layout. I used 7 dots studio papers, Finnabair mediums, Frantic Stamper dies – www.franticstamper.com and for colouring I used Distress oxides, they perfectly matched to my paper colours. I also used I Kropka chipboards. I made this layout to Berry71BleuChallenge – I usually turn on camera and when I like it I cut video tutorial from my working process. If you like my tutorials do not forget to subscribe my channel. 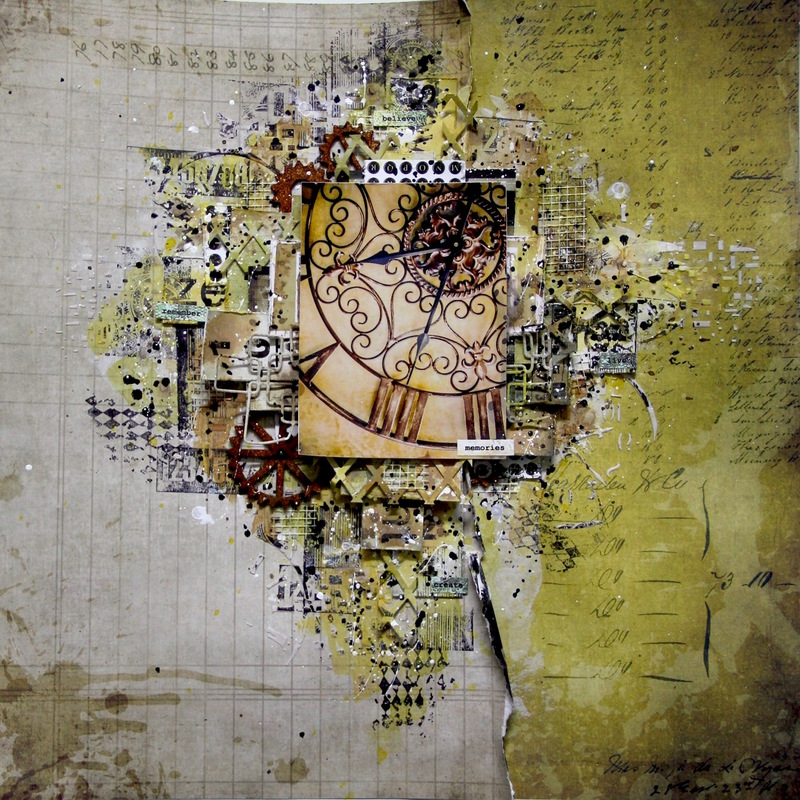 This entry was posted in Layouts and tagged distress oxide, Finnabair, frantic stamper, I kropka, layout, tutorial. this layout was made for Pink and Main and now I would like to share it on my blog. 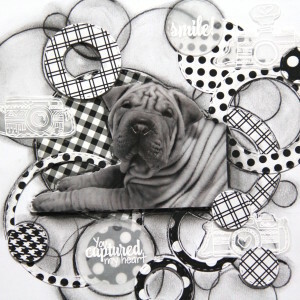 step was to make with charcoal different circles – I used Stitched Circle Dies – as stencil. Than I just smudge charcoal with finger. From patterned paper – Spring Color Pop I cut different circles. Than I stamped different images and sentiment from Candid Moments stamp set on vellum and I heat embossed it with white embossing powder. I used Candid Moments Diesto cut images. And last step is adhere all together and add some details with charcoal. Really easy layout. Oh that dog is our puppy Dobby, 6months old sharpei. This entry was posted in Layouts and tagged layout, Pink and Main.